This project sets out to build and test customer engagement tools for the UK Custom Build Industry. The 18 month collaborative R and D project is part funded by InnovateUK. 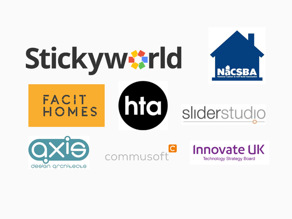 Stickyworld leads the project in collaboration with HTA, Slider Studio, Facit Homes, Commusoft, Axis Design, NaCSBA. "We are developing new tools on the platform for Customer Builders to put the client at the heart of the process. In the world where "Customer is King", why shouldn't housing work the same. We are interested in connecting with any housing developers who feel the same." Digital design and communication tools to place the customer at the heart of the process. The "Digitising Custom Build' project is part funded by InnovateUK and will complete in September 2016. Below are some answers to your questions, but please get in touch if you'd like to know more and how to get involved. What are the main project goals? We are simplifying how custom build developers can manage design choice and support an excellent customer experience of buying, building and living in a new custom build home. Stickyworld leads the project and is collaborating with Axis Design, Commusoft, Facit Homes, HTA architects, and Slider Studio. Together these companies bring technical and industry skills to innovate on their own parts in the process, bringing the opportunity to test a suite of new technologies on site. We are supported by National Association of Custom and Self Build to disseminate the project activities and outcomes. What tools are we building? The project team is building a suite of online and desktop tools that improve each stage of the custom build process. This process stretches from the visualisation of possible site wide configurations to help custom build developers work with urban designers and local planers. It includes the individual customisation and sales of a new homes, new ways to monitor and discuss site progress for custom build, and resulting in a useful online home user guide for the customer to use as they move into their new home. How will this project extend and improve Stickyworld for everyone? The project is in its early stage, but we believe we can introduce new content types including 3D BIM models, better ways of managing people's involvement within set timeframes, and also ways to make informed choices through smart design customisation scripts. We think this can help us serve the developer and architect customers in the Custom Build market, and also wider related applications. We are also looking at the business model for these new features and are pleased to discuss this with interested parties. This technology might help my company? How can I get involved? The project is working with NaCSBA on a continuous project engagement and dissemination programme which should start later in the year. There will be ways to get involved and shape the project, and we'll post links and more news here soon and in our blog. Interested in registering an interest or learning more? 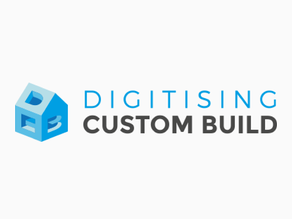 Just email us with "Digitising Custom Build" in the subject line and we'll get back to you. You can also sign up to our newsletter at the bottom of the page.